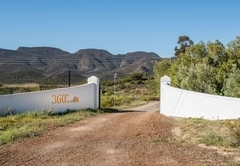 360 on 62 Farm Cottages is a property providing self catering in Montagu for tourists visiting the Breede River Valley region. 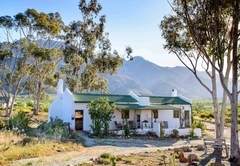 Set on a working farm just outside the charming village of Montagu, 360 on 62 offers farm cottage accommodation with 360° mountain views. 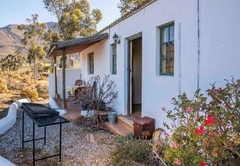 The historic village lies in a fertile valley enclosed by the Swartberg and Langeberg Mountain ranges. 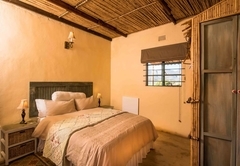 The restoration of the cottages was carried out with great sensitivity and attention to detail in order to maintain an authentic flavour. 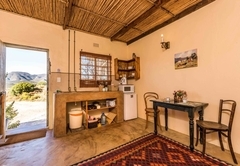 The self catering cottages are simplistic but well equipped with linen, crockery and cutlery, as well as a gas cooker and microwave. 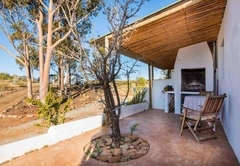 Each cottage has its own braai facility and patio. 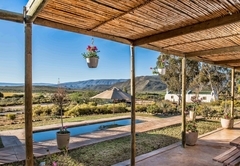 A communal braai facility at the swimming pool enables a large group socialise together. 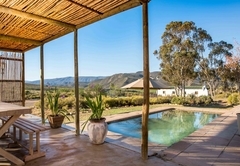 The pool at 360 on 62 Farm Cottages overlooks the majestic Langeberg Mountains and is a great setting for a sundowner or for simply lazing around on a hot day. 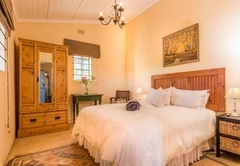 The cottage sleeps a couple in a double bed and has also retained its “Hansel and Gretel” look and huge fireplace of bygone days. 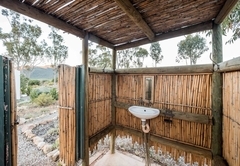 The bathroom has a shower and toilet and views that could make the mind dwell forever! 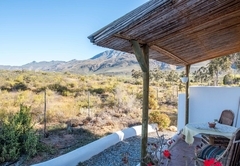 The cottage, which is back-to-back with Fish Eagle, faces an area of typical Klein Karoo plain and a mountain backdrop. The plain is the hunting ground of our resident pale chanting goshawks and they are readily observed from the little patio. 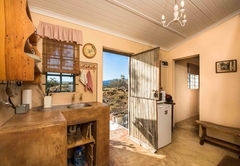 Bokmakierie cottage sleeps two in a double bed and has a Victorian bathtub in the bedroom and a toilet discreetly hidden behind reed-clad walls. Restored reed ceilings and original fireplaces in the kitchens enhance their once-upon-a-time atmosphere. 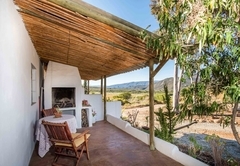 A large thatched roof patio with built in fireplace completes the picture. 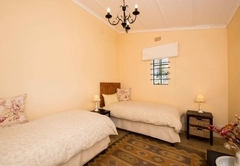 Fish Eagle has two bedrooms; one furnished with a double bed and the other with twin single beds. 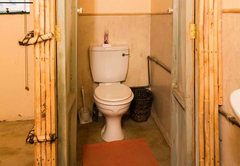 The bathroom leads off the main bedroom and has a solar-powered shower. 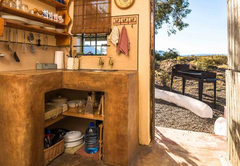 The delightful, quaint kitchen is fully equipped and the original huge fireplace has been maintained. 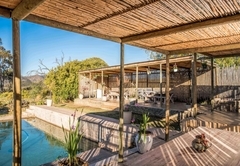 A thatched roof patio provides shade and shelter, even for the familiar chat bird, which has stoically refused to move, even during restoration. 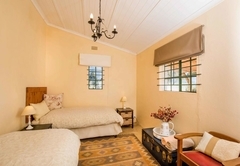 Nonnetjie Cottages sleeps two in a double bed, has a Victorian bathtub in the bedroom and a toilet discreetly hidden behind reed clad walls. 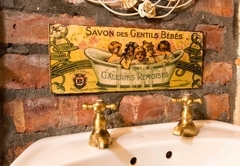 The restored reed ceilings and original fireplaces in the kitchens enhance their once-upon-a-time atmosphere. 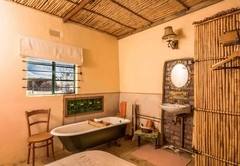 A spacious thatched roof patio with built in fireplaces completes the picture. 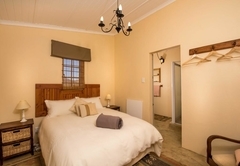 The cottage sleeps a couple in a double bed and has also retained its "Hansel and Gretel" look and huge fireplace of bygone days. 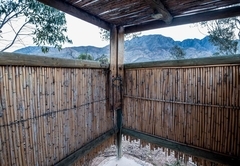 The bathroom has a shower and toilet, and views that could make the mind dwell forever. 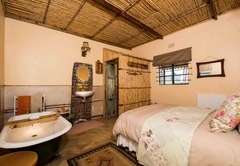 Bokmakierie cottages sleep two in a double bed and have a Victorian bathtub in the bedroom, and a toilet discreetly hidden behind reed-clad walls. 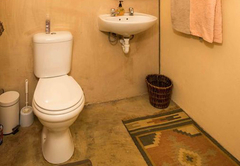 Restored reed ceilings and original fireplaces in the kitchens enhance their once-upon-a-time atmosphere. 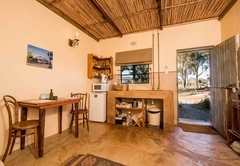 Fish Eagle has two bedrooms; one fitted with a double bed and the other with twin single beds. 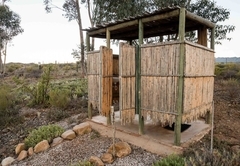 The bathroom leads off the main bedroom and has a solar-powered hot water shower. 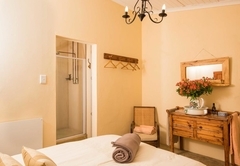 Nonnetjie Cottages sleeps two in a double bed and has a Victorian bathtub in the bedroom, and a toilet discreetly hidden behind reed-clad walls. Restored reed ceilings and original fireplaces in the kitchens enhance their once-upon-a-time atmosphere. 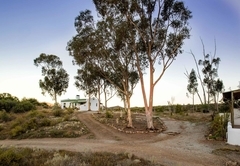 Response time360 on 62 Farm Cottages typically responds to requests in 5-10 minutes.